Your company is attending a conference, you’ve got a booth and all the snazzy items to hand out, pens, business cards, and candy to entice people over. You’ve even got information to hand your potential clients so they can go home and look everything over. But that brochure doesn’t exactly do your company justice, you’re so much more than what you can fit on that 2-dimentional static piece of paper. You want to really show people what your company can do, but it’s hard having an in depth conversation with each person who stops at your booth. What to do? PowerPoint! Yes, PowerPoint is great, we’ll make one of those. Wait…I’ll have to click through it and explain a lot of things to people and I would really like to gather their contact information. An Interactive PDF! People love things that are interactive, they can explore at their own pace! Wait…those are hard to update, and can become rather large which makes it hard to transfer and upload, and I’m not really good with adobe acrobat pro. Plus they don’t have all the cool effects that PowerPoint offers, video doesn’t always work on that, and I still can’t get my audience’s contact information. Now What? 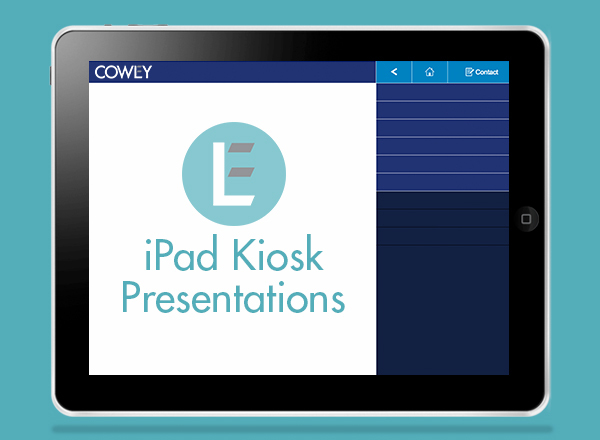 Cowley has a new solution to meet all your needs, we call it an iPad Kiosk Presentation. In a nut shell, it’s a content managed website that can be downloaded locally to an iPad using a specialized app. It is easily updated. We provide a content managed Drupal site that serves as the presentation you download. It has all the ease of updating just like our regular websites. And don’t worry, we train you how to make those updates. It can accept contact information, even without an internet connection. The really cool feature of this app is that it enables offline filling of forms. It saves the information and posts it to the website when the device gains internet access again. The data is then emailed to whoever you wish and saved in a database with excel export capabilities. It can have special effects. You have full access to jQuery for a wealth of different animated styles and transitions. Your presentation will truly be unique. It has a mode which will keep your audience from exploring your entire iPad. You can put the app in a lock mode which will keep your audience from leaving the app. 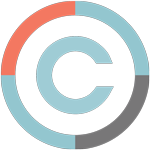 Your personal e-mails, photos, contacts, etc. are all safely locked while still allowing potential clients to have the freedom to explore. We’d be happy to demo this iPad Kiosk Presentation for you – give us a call!